Is it because students don’t want to share their ideas? Could it be that students don’t feel safe? Could it be the learning environment is not set up for collaboration? I really have to reflect when a student comes to me with that response when groups are created. Many times I ask students to just choose a group that will help them to be successful and students are fairly accurate in the people they choose. Sometimes though, there is a need for groups to be created ahead of time. Collaboration is a huge piece of our classroom and of our learning. Questions, curiosities, exploration all happen when we can see another person’s thinking. Today, I presented at a Project Lead the Way conference. The session was titled Collaborative Curiosity. We had quite a few learners in the room and they had all chosen who to sit by, so I never heard the comment listed in the title. What strikes me is that we want our students to work together, but our environment must be suitable for that to happen. Why were these adults able to collaborate? More importantly why were some adults shy about sharing their learning? I’d venture a guess that many of these adults might be a bit fearful of others judging them. Erin Starkey has discussed about the first 20 days of PBL and how that is a necessity for success in her classroom. As we continue to progress throughout our journeys in learning we must strive to make our environments collaborative. Even when we hear the words, “Do I have to work with them?”, we should be thinking about the reason why. My guess is most students don’t feel safe with sharing their ideas and then the comment occurs. To be innovative we have to think of learning differently and the book, The Innovator’s Mindset by George Couros, is encouraging that to happen. Let’s all make sure that we encourage collaborative curiosity. 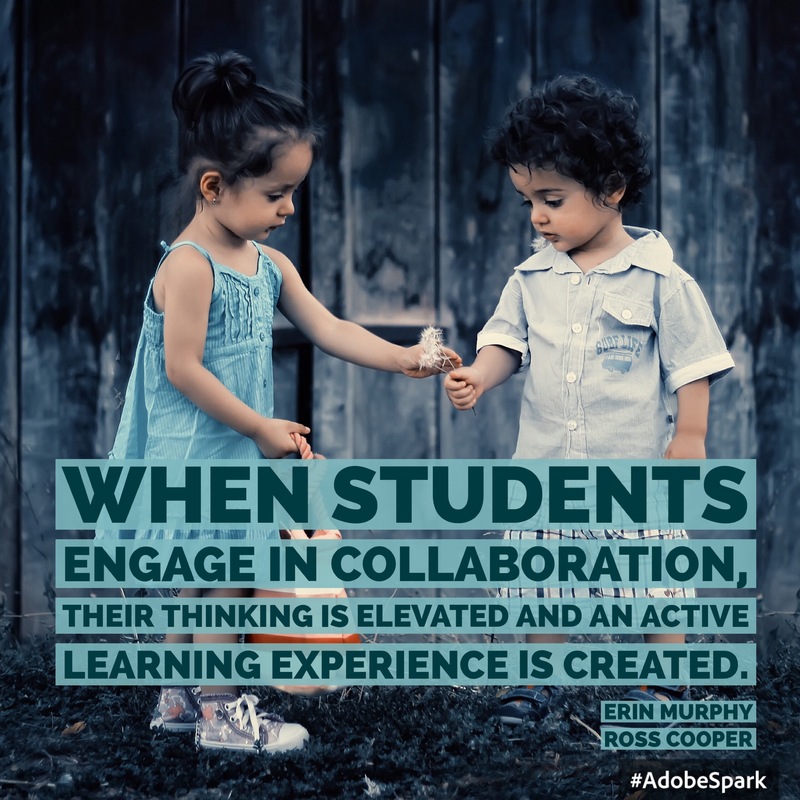 Provide those opportunities for adults and children to see how collaboration is powerful and not just an add on. We all become better when ideas are shared, not kept in the silo of our brains. Ask the quiet students what they think, you’ll probably be amazed at the ideas they have too. This is the 2nd part of the #IMMOOC challenge for this week. I’ve been taking part in the book study with George Couros on the Innovator’s Mindset and after reading the book a second time I have found it more and more relevant to my life. These posts are part of an innovator’s mindset and are helping me to make connections between all the learning that occurs with my students. Previous Post Wow! Thanks for sharing that Mistake! Next Post What’s a Low Level Opportunity?